It seems like Dwayne Johnson has had drama on set with some of his “unprofessional” Fast 8 coworkers. Yesterday, Dwayne wrote a message on his Facebook to commemorate his final week of shooting the eight installment of the Fast & Furious franchise, which comes out in April 2017. While he praised Universal Studio Entertainment and his “always amazing” female co-stars, which include Michelle Rodriguez, Charlize Theron, and Helen Mirren, his male co-stars were a different story. He revealed that when you see him as Luke Hobbs on Fast 8, he is not acting in some of the scenes, and that his blood is legitimately boiling due to these unnamed coworkers. He then ended the status with the hashtag “ZeroToleranceForCandyAsses‬.” Woah. 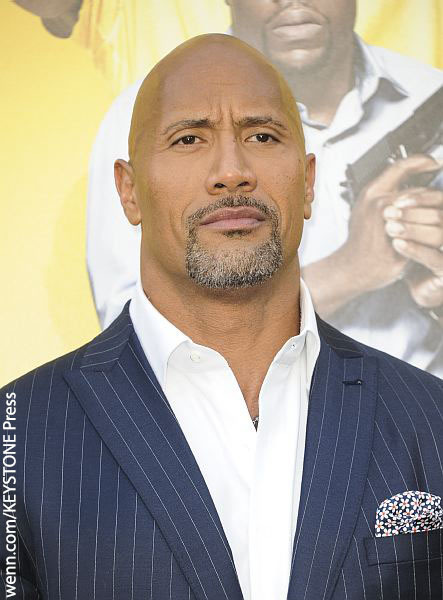 We wonder what these coworkers did to get The Rock so angry, and who would dare to get on the semi-retired professional wrestler’s bad side. Ummmm I’m sure he will say it to your face as well as social media. Good luck whomever he feels the need to discuss this with! I’ve heard of candy hearts, but what exactly are candy asses? Whatever, it’s bound to be a trashy movie. Stuntmen have been used in the movie industry for eons, and is a required part of making movies. This industry is at times can be quite dangerous to put together, look at some of the stunt operations that have a few hundred parts being coordinated and you see what i mean. Maybe safety can not be measured so easily, Dwayne, i love your work, to be certain, versatile fellow Mr. Johnson is, but sometimes even the greats should be humble, and must get over themselves.